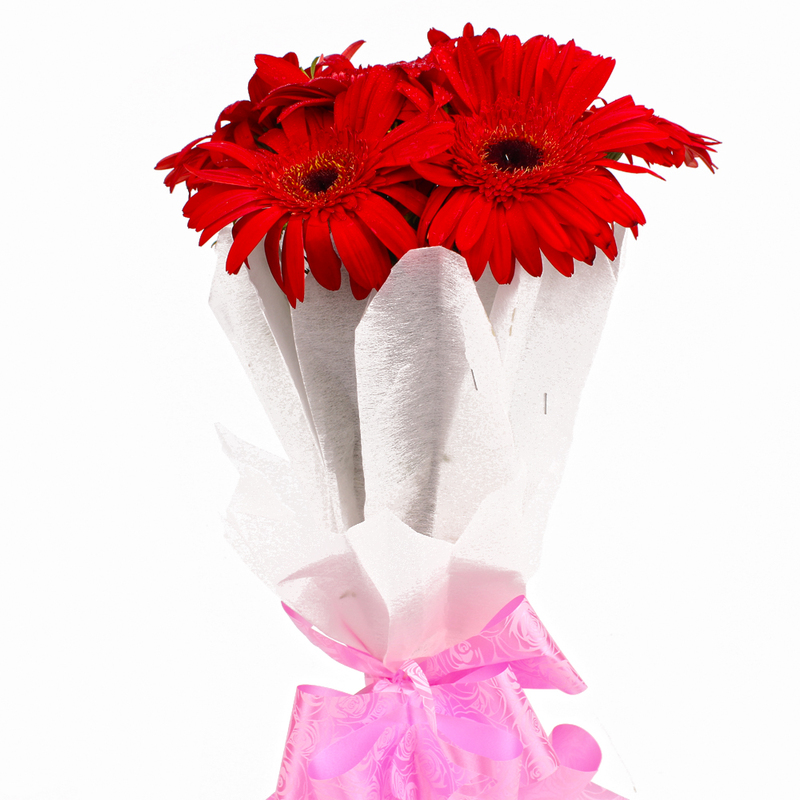 Product Consist : 6 Red Color Gerberas with green fillers in Tissue Wrapping with Ribbon Bow on it. 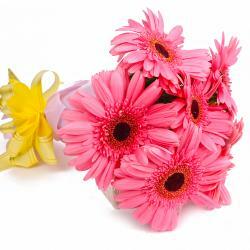 This bunch of flowers will enthrall you without a doubt. This bunch contains six stem of Red Gerberas that are hard to resist for sure. 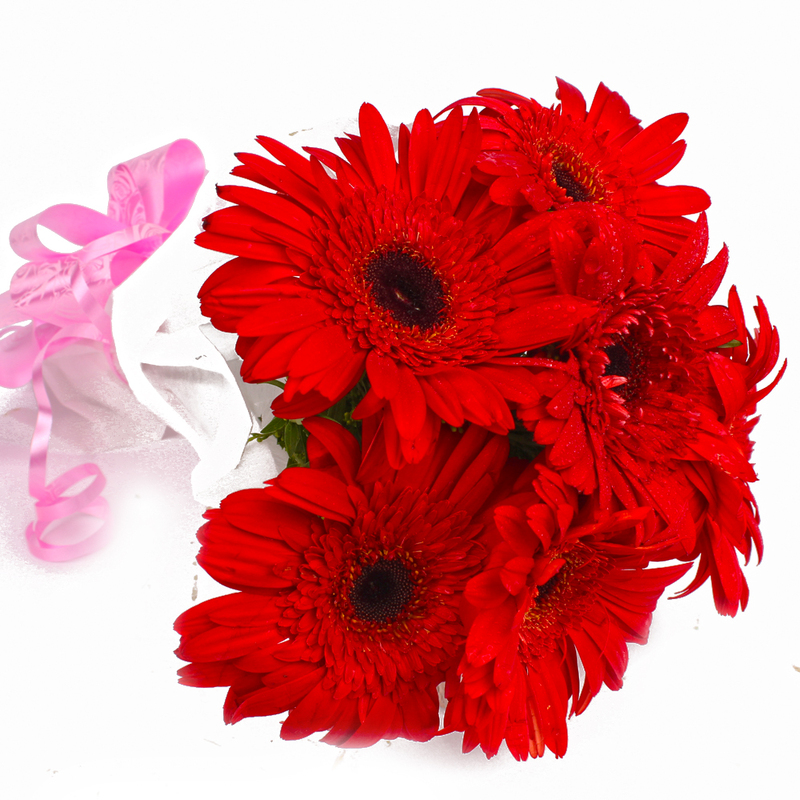 These Red Gerberas have been delightfully packed in tissue with a matching ribbon bow for company. 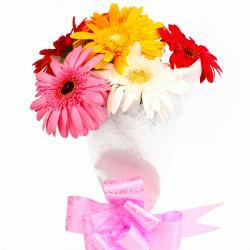 This lends an added effect to this pack and makes it a great solution when it comes to surprising your special someone on occasions like Birthday, Anniversary, Wedding, Bhaidooj, Mothers Day. 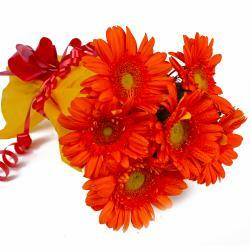 Resisting this bunch of Red Gerberas is really hard indeed and you can also use this for Diwali gifting purposes. 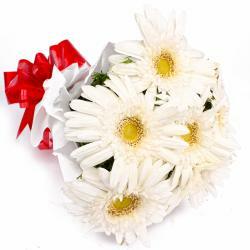 Product contains : Six Red Color Gerberas with green fillers in Tissue Wrapping with Ribbon Bow on it.